I do hope you had a successful week at Cheltenham. Although there are 51 weeks before next year’s Festival comes along, there is no shortage of advice around for ante-post bets already. I won’t be tying any money up for that length of time, and in any case, I have an almost unerring ability to put my early money on horses that don’t actually make it to the races. This year, Darlan, Last Instalment and Dynaste in the RSA Chase all resulted in dead money, but, of course, that’s one of the perils of ante-post betting. One of the stories of the Festival was the way you just couldn’t turn round for family connections. The meeting closes with two of those, the races named after former trainers Martin Pipe and Johnny Henderson. David Pipe had Gevry Chambertin in his father’s race, but the favourite, like all others in the handicaps, could not win. Nicky Henderson supplied more than a quarter of the field for the JH Grand Annual Chase, but the best he could do was second place with Kid Cassidy. Sam Waley-Cohen had three efforts for his dad, and came home first on Rajdhani Express in the Rewards4Racing Chase, before a fall from Frisco Depot and third place on Long Run in the Gold Cup. There were more success for trainer/jockey combinations with the Tizzards (Colin and Joe with Cue Card), Twiston-Davies (Nigel and Sam with The New One) and Mullins (Willie and Patrick with Back In Focus) families all pairing up with winners. All in all, then, a good week for family ties, and those victories providing good cause for celebration. Friday at Cheltenham was typical of all the Festival days I’ve ever experienced over more than 40 years’ attendance – I started late! – encapsulating the undying appeal of the experience. Rain, bad ground, bad luck and above all dashed hopes were there in equal measure. I’ve always loved the Triumph Hurdle, but until Friday, no winner I’d backed – a fair number and some of the Henderson ones – or more frequently the near misses, even remotely challenged for my “best performance ever” accolade in competition with Golden Cygnet, the 1978 hero of the Supreme Novice Hurdle. He won it by 15 lengths, making it six wins in a row over hurdles after a Flat-race career starting as a four-year-old with a win and a debut first but disqualified before taking up his true metier. Edward O’Grady had picked him up for 980 punts. That price had long been shown as the bargain of the century for the first-crop son of star jumps stallion Deep Run when he lined up or the Scottish Champion Hurdle at Ayr. This was the first run outside novice class for Golden Cygnet and he was in the process of beating two great Peter Easterby-trained Champion Hurdlers, Sea Pigeon (who gave him 1lb) and Night Nurse, receiving a few pounds, when he sustained the last-flight fall that ended his career. This was still an extraordinary effort by a novice, but after being taken to Edinburgh University to make his recovery from the injuries, he died some days later from a brain haemorrhage. O’Grady has been one of Ireland greatest Cheltenham Festival trainers, and another of that ilk, Dessie Hughes has not only produced a son, Richard, to be reigning champion jockey in Great Britain, but has known just how to win a Champion Hurdle, Hardy Eustace collecting the race twice at age seven and eight. 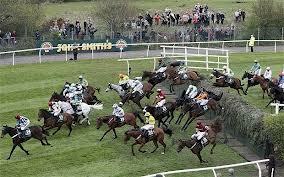 The 2013 Triumph Hurdle attracted the right horses from the right stables. Henderson, Nicholls and Mullins were all well represented, just as they had been all week, with feasible candidates, but they all were just making the numbers up. In the event Our Conor gave a display that for me was the best individual performance I’ve ever seen, certainly in the Triumph and probably in any Festival race, such was his superiority. Unbeaten in three starts at home, the first two at odds on, the third remarkably at 100-30, simply because Mullins-trained Diakali, an Aga Khan-bred import from France had started his jumping career with a 12-length maiden win and then a 28-length Grade 3 romp over the subsequent Fred Winter winner Flaxen Flare, Our Conor had already shown everything needed leading up to the Triumph. Not quite in the less than a grand Golden Cygnet class of bargain, he was still purchased for just 4,500 Euro before winning a couple of his six Flat races all at age three. A son of Jersey Stakes winner Jeremy, he campaigned at around a mile, but the stamina he displayed at Cheltenham earmarks him as a potential Group-race winner if sent over longer distances on the level. Whether Dessie will be prepared to risk him changing codes again, though, is questionable, even with an eye-catching 84 Flat rating. No doubt, though, his ever-shrewd son will be mentally calculating how best to exploit him once the riches of Punchestown have been added to the Men About Town Syndicate’s swelling coffers. I’ve not actually dwelled on the bare statistics of his run. Second behind his old adversary Diakali from the outset, he strolled along unconcerned until Bryan Cooper sent him into the lead around the home bend. He simply cantered away with nothing more than minimal urging, jumped the last as though he was starting his race, and surged up the hill for a 15-length win over Far West (Nicholls), winner of all four British runs after a debut third in France. Samategal, Nicholls again, was third, Diakali fourth and Henderson’s Vasco Du Ronceray and Rolling Star the next two home. Trainers always reckon the five-year-old season is tough for grade 1 hurdles winners, but Katchit, nine-length winner of the 2007 Triumph, won the Champion the following year while Punjabi, fourth to him as a four-year-old, chased him home back in third in 2008 before winning his own championship the following year. I’ve no doubt that Our Conor, injury apart, will win next year and maybe emulate See You Then, the triple winner in the three years after he just failed to win the Triumph as favourite after I’d secured 25-1 about him earlier in the season. Punjabi was already in the saddling area, six years on from his Festival debut, while Our Conor was striding up the hill. Conditions were worsening as the rain intensified, but that possibly does not account for all the extra five seconds it took the 27-runner field of smart, experienced hurdlers to complete the County Hurdle ordeal. Punjabi’s mud-spattered colours could be seen (?) running on into 13th, and Barry Geraghty told Nicky Henderson and me (yes those two talked to me before they won the Gold Cup!) that he was outpaced but stayed on and is sure to get two and a half miles. That seems reasonable enough given that old adversaries Solwhit and Celestial Halo fought out the business end of Thursday’s Stayers’ Hurdle, and Raymond Tooth hopes Punjabi will line up at Aintree for one of the handicaps. Horses don’t like mud. Nor do phones, binoculars, spectacles, shoes, trousers or coats. My keen-to-get-away passenger showed not a jot of politeness in going missing at the time of our designated early getaway for his (not my!) hostelry, so I made my way to the car thinking he’d already be there. Instead we had to conduct a conversation about whether to turn left out of the weighing room area, (“I said left!”), “so, I go right?” and that was repeated four times, until I set a new standard for the conduct of beached whales as I slipped in the mud within 20 yards of the car. Down on all fours with caked mud everywhere and phone and binoculars thrown clear into an even muddier patch, I was stuck. I wish I’d been able to catch up with the oldish couple who walked serenely past me presuming me to be drunk. Well I did have a tomato juice with extra Worcestershire sauce. Not to worry, the winning bet of the day was that on Friday morning I’d replaced the ancient and irreplaceable Crombie with a warmer-, wetter-weather option in the Barbour raincoat with the deep pockets. Pity I’d not kept either my Racing Post (wet through) or bins in them. As to my long-lost and even a fair bit older colleague, when he finally arrived to see my dishevelled state, he merely said, “I slipped twice”, to retain the moral high ground. “Well you weren’t trying to give directions to a cretin, were you?” should have been my last word on Cheltenham 2013. To retain my dignity, I refused to wash the mud from the left side of my face until armed with some wet wipes from his car, I performed the task with due ceremony in Burford High Street an hour later. 1.30--Triumph Hurdle: Four of the last fourteen favourites have obliged which not a bad record considering the competitive nature of this opening event. 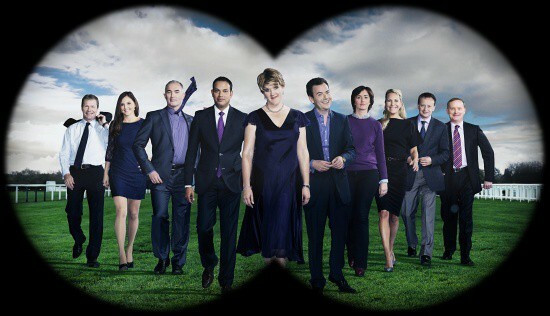 Nine market leaders finished in the frame during the study period. Irish trainers have not lifted this prize since 2002, with Philip Hobbs (2/10), Paul Nicholls (2/14), Alan King (2/20) and Nicky Henderson (2/13) all having trained two winners during the study period. 2.05--County hurdle: Although backed up by only six placed representatives in the last thirteen contests, five-year-olds have won this competitive event no less than eight times during the period. Forty of the last fifty winners hailed from the five and six-year-old vintages which should sway you towards younger horses in the contest. Horses carrying a maximum weight of 11-1 have won eleven of the last fourteen renewals. 2.40--’Albert Bartlett’: Favourites have won three of the eight renewals whilst market leaders have secured seven toteplacepot positions. Six-year-olds lead the seven-year-olds 4-3 to date. Previous course winners account for half of the winners to date whilst the fill scoreboard reads: Britain: 5--Ireland: 2--France: 1. 3.20--Cheltenham Gold Cup: Six of the last ten market leaders have won the ‘Blue Riband’ with Kauto Star being a beaten favourite on two occasions. Eight of the ten favourites finished in the frame. Bobs Worth has won all six of his races when racing left-handed thus far, whilst his record at Cheltenham is 4/4. The last Cheltenham Gold Cup winner to only have one outing during the season before the big race was Garrison Savannah back in 1991 who like Bobs Worth, had won the RSA Chase the previous season. At the odds on offer at the time of writing (3/1), Bob’s Worth rates as my bet of the week. Only the progressive Silviniaco Conti emerges as a danger from my viewpoint. 4.00--Foxhunters Chase: Three market leaders have won via the last fourteen contests, the figure increasing to seven during the period when taking the first three horses in the betting into account. Four of the last seven winners have scored at 33/1 (twice) and 20/1 (twice). 4.40--’Martin Pipe’ Conditional: Two of the four favourites have finished in the money to date (one winner). David Pipe has saddled two beaten favourites in the race which he is desperate to win for obvious reasons. 5.15--’Grand Annual’: Every winner during the last eleven years carried a maximum burden of 10-13, whilst eight gold medallists carried 10-7 or less. Novices have a great record in the ‘Johnny Henderson’, whilst horses with decent each way form leading up to the race can be expected to figure prominently. Eight renewals have slipped by since a favourite obliged, whilst Nicky Henderson’s runners always demand respect in a race run in honour of his late father. Nicky’s novice Tetlami would be my each way selection if the trainer chooses this race for his seven-year-old. Class 3 handicap hurdle scheduled for 3.35 over the minimum trip: Six-year-olds have won four of the last six (and six of the last eleven) contests. Four favourites have obliged in the last ten years. Foxhunters event due to be contested at 4.15: Five favourites have prevailed via the last ten contests, nine winners of which started at 9/2 or less. Nine-year-olds have secured three of the last five renewals. Closing conditional jockey’s event scheduled for 4.55: The biggest priced winner in this event via the last ten contests before last year’s 33/1 shocker was returned at just 4/1, statistics which included four successful market leaders during the last six years. Four-year-olds have won five of the last ten renewals. The next potential William Jarvis runner is Laudation on this card, the trainer having saddled two gold and one silver medallist via his last three representatives. Williams boasts an LSP reading of twenty-four points at Lingfield via an 18% strike rate during the last five years. John Gosden held a couple of entries at Wolverhampton this week at the time of writing, with the trainer offering a 27% ratio in recent times. 1.30--’Jewson’ Novice Chase: An exceptionally ‘good NH judge’ expects a first-rate showing from Third Intention in this event, though as expressed on Sunday evening, ‘Joe’ was less than happy at the decision for Dynaste to contest this event rather than the RSA which had seemingly been the target not so long so. Colin Tizzard’s raider should still reward each way investors with a decent run for their collective monies however. 2.05--‘Pertemps Final’: The last nine favourites have been beaten with just one market leader finishing in the frame. Going back further in time, only one favourite has prevailed during the last sixteen years, whilst seven of the last nine gold medallists carried weights of 10-9 or less as have twenty-six of the thirty-six horses to have secured toteplacepot/each way positions during the period. Only one five-year-old winner has been recorded in the last thirty-eight years. Cape Tribulation was the third eight-year-old winner twelve months ago via the last six renewals. David Pipe has saddled two of the last three winners, albeit Buena Vista won both events. 2.40--Ryanair Chase: Albertas Run has two gold and one silver medal to his name in this race though the ground (best on a sound surface) might have gone against him this time around. Only two favourites have prevailed via eight contests though that said, seven of the winners scored at odds of 6/1 or less. Twenty four Irish raiders have tried and failed to win this contest. Nicky Henderson (responsible for both successful favourites), Jonjo O’Neill and Paul Nicholls all have two winners to their name, the other successful trainers being David Pipe and Nigel Twiston-Davies. 3.20--World Hurdle: Eight favourites have won via the last eighteen contests during which time, thirteen gold medallists emerged from the front three horses in the betting. The biggest priced winner during the last eleven years was returned at 8/1. Get Me Out Of Here has finished runner-up in all three Cheltenham Festival assignments thus far. Beaten a head in the ‘Supreme’ in 2010, GMOOH fell victim to a minimum margin defeat (nose) twelve months later (County Hurdle) before securing the silver medal again in the ultra competitive Coral Cup last year. If any horses deserves to score at the Cheltenham Festival this year, Get Me Out Of Here is the beast! 4.00--Grade 3 Byrne Group Plate: Last year’s successful market leader was only the second favourite to oblige during the last twenty-nine years. Although eight-year-olds have ‘only’ won four of the last fourteen renewals, vintage representatives have secured twenty-three of the last forty-three available toteplacepot/each way positions. Horses carrying a maximum burden of 10-10 have won eight of the last ten renewals. Class 4 novice hurdle event due to be contested at 2.55: Three of the five market leaders have prevailed (5/6-5/6-10/11), the other market leaders having secured silver medals. 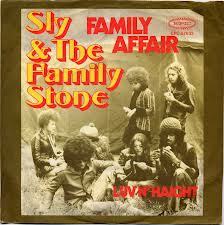 Six-year-olds have won three contests whilst all five winners carried a minimum burden of eleven stones. Four mile handicap chase scheduled for 3.35: Just one favourite has obliged via the last ten renewals during which time, horses carrying weights of 11-2 or less have secured eight contests. Three mile handicap hurdle scheduled for 4.15: Six of the last ten contests have been secured by market leaders, with seven-year-olds leading the eight-year-olds 5-3 during the period. Five of the last six winners have carried a minimum burden of 11-2. Two and a half mile handicap chase scheduled for 4.55: The last eight winners have carried a maximum weight of eleven stones, whilst just one favourite has obliged during the last decade. Two mile five furlong novice hurdle event scheduled for 1.55: Six-year-olds have secured five of the seven contests during which time, the biggest priced winner was returned at 13/2 (four successful market leaders). Three mile handicap chase due to be contested at 2.30: Three clear and two joint favourites have prevailed via seven renewals. Class 4 two-mile handicap hurdle scheduled for 4.25: Five-year-olds have won three of the last six contests, whilst four of the last five favourites secured toteplacepot positions, statistics which include one winner. Closing conditional jockey’s event scheduled for 5.35: The last five winners have scored at 16/1--14/1--12/1--15/2--7/2 following the successful inaugural (5/4) market leader back in 2004. Gerard Butler’s only two entries this week at the time of writing were at this venue, where Gerard boasts fifty-two points of level stake profits via a 24% strike rate in recent years. It's day three of the Festival, and that means the World Hurdle plus the Ryanair Chase, as well as the Jewson and some fiendish handicaps! Here's what's on geegeez for you today. Yes, folks! Back by popular demand, I'll be live blogging this afternoon for Day Three of the Festival. Your company is requested - and to some degree, required (as it'll be no fun on my own!) - for the seven races kicking off at 1.30pm. One slight caveat is that my train from Gloucester doesn't get to Paddington until 1237, and I've to get across to Geegeez Towers for 1.30pm! A single person each managed to pick the three big winners yesterday: Medinas, Flaxen Flare and Briar Hill, and they lead the charge. But there is still plenty of opportunity to get a big-priced score on the board. Pick three horses running at Cheltenham today, and enter them in the comments box here, along with your BetVictor username. Cheltenham Festival Tipping Competition is here. Various Sprinter Sacre specials will have beaten up bookies again yesterday, and there's a slightly muted look to the offers page today. However, we do still have plenty of five places action in the handicaps, and money back if second to the favourite with a couple of firms. If you like a horse but are worried about the likes of Dynaste, Sam Winner or Ballynagour, that's a nice insurance policy. Cheltenham Festival Day Three Bookie Offers are here. A really frustrating day for me personally with three decent bets just failing to come off: Boston Bob, Meister Eckhart and Regal Encore. But there's plenty more to go at today, and my thoughts, some hard facts, plus a tip or three can be found here. 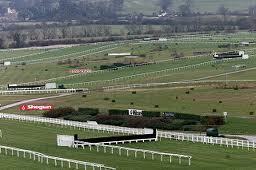 Cheltenham Day Three (Thursday) Preview, Trends and Tips are here. Tying everything together for the Festival is this one little linkie. Click here for all of geegeez' Cheltenham Festival coverage in one place. 1.30--4 mile NH Chase: Seven-year-olds have won five of the last eight contests whilst just three favourites have prevailed in the last eighteen years. Horses in the first three in the betting have a poor record in the race. Fifty four relevant horses have lined up during the study period producing six winners and ten place positions, leaving thirty-eight representatives finishing out with the washing. 2.05--2 mile 5 furlong Grade 1 ‘Baring Bingham (Neptune)’: Five and six-year-olds have secured sixteen of the last eighteen renewals of this event, securing an additional thirty-one toteplacepot positions for good measure. Six-year-olds come to the gig on a hat trick this time around having secured four of the last six renewals. Six favourites have won during the period though the figure only extends to nine when taking the first three market leaders into account. 2.40--RSA Chase: Seven-year-olds rule supreme in the ‘Sun Alliance’ having won thirteen of the last eighteen contests. Vintage representative has secured an additional sixteen toteplacepot positions down the years for good measure. Only five favourites have won during the study period and just eight when extending the stats by taking the first three horses in the betting into account in the relevant races. Irish runners have won three of the last four contests, whilst Willie Mullins has trained two winners and two placed horses during the last decade via fifteen representatives. 3.20--Queen Mother Champion Chase: Ten of the last thirteen winners of the ‘Queen Mother’ have emerged from the front three horses in the betting, whilst five favourites have won via the last eighteen renewals. If you fancy taking Sprinter Scare on, it’s worth noting that nine-year-olds come into the contest on a four timer. To pour further fuel on the potential flames, Sprinter Sacre is attempting to become only the fourth seven-year-old winner since 1970, the last relevant gold medallist being Azertyuiop back in 2004. 4.00--Coral Cup: Ten of the last twelve winners of the Coral Cup have carried weights of eleven stones or less whilst just one favourite has scored since 1993. Only four winners have emerged during the period from the front three horses in the market during the study period. Five-year-olds have won three of the last seven renewals. 4.40--’Fred Winter’: Two favourites have won via just eight renewals, though readers should be aware that other gold medallists have prevailed at odds of 40/1-40/1-20/1-14/1-11/1-9/1. Seven of the eight winners have carried a maximum burden of 11-4, whilst fillies have secured half of the contests thus far. 5.15--’Championship Bumper’: Five-year-olds have secured six renewals during the last decade. The market used to be a decent guide but it is as well to digest the fact that seven renewals have slipped by since a favourite was successful, recent winners having scored at 40/1-33/1-16/1-14/1-12/1-11/2-9/2. Willie Mullins has saddled seven of Ireland’s fourteen winners in race which only has twenty renewals to its name. Three mile handicap chase scheduled to be contested at 2.55: Just one clear and one co favourite has scored via eight renewals. Other gold medallists were sent off at 25/1--20/1--16/1--10/1--8/1--7/2. Four of the ten market leaders have secured toteplacepot positions thus far. It’s worth noting that the toteplacepot pools for the other meetings during Cheltenham Festival week also take a hike if you are interested in the wager. Two mile five furlong handicap hurdle scheduled for 3.35: Six-year-olds have secured three of the five contests. Three and a quarter-mile handicap hurdle scheduled for 4.15: Nine of the last ten winners carried a minimum burden of eleven stones, whilst the same number of gold medallists started at odds of 7/1 or less (two winning favourites). Four-year-olds come into the closing bumper event (scheduled for 5.30) on a five timer. Five favourites have scored during the last decade albeit, gold medallists have also prevailed at odds of 100/1 & 22/1. Jockey John Fahy boasts an LSP figure of over sixty points at Kempton which should come as no great surprise to readers, given that 26% of John’s (119) winners during the last five years have been gained at this venue. It would be typical of David Nicholls to saddle winners when the majority of punters were ‘looking the other way’ this week and his one hundred and sixty points of level stake profits at Southwell during the last five years merits plenty of consideration. To Wednesday, and the beastly beauty that is Sprinter Sacre. He's an absolutely fantastic horse and if you ever get the chance to see him in the flesh, you'll know what I mean. Equine machine. No big leaders after day one, as both Golden Chieftain (28/1) and Randjhani Express (16/1) eluded everybody. That means the leader is on 6.63 points which is one modest priced winner in the context of the Cheltenham Festival. So, if you haven't entered already, you still can and there's £100 of bets up for grabs. Some of the bookmakers half killed themselves yesterday with offers around the Supreme Novices Hurdle and the Champion Hurdle. But there are still plenty prepared to offer no deposit free bets, extra places, refunds for seconditis sufferers, and a very innovative Sprinter Sacre handicap race! Cheltenham Festival Day Two Bookie Offers are here. After a modest day one - which is generally the case when the shorties win - and some frustration with Fruity O'Rooney, Kauto Shiny (100/1), and Colour Squadron all finishing fifth, we move on to day two. And my thoughts, some hard facts, plus a tip or three can be found here. 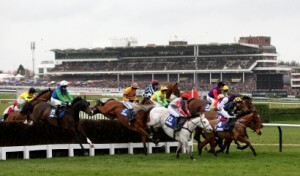 Cheltenham Day Two (Wednesday) Preview, Trends and Tips are here. Our man, Tony K, is back with another Punting Confessional, and he's honed in on the Cheltenham Festival this week. Tony's Cheltenham Punting Confessional is here. So, there's lots of different things for your Cheltenham punting edification here at geegeez, and in the interests of expediency, I thought I'd do a 'round up' of what and where. Hope that's of use. (As always, let me know with a comment whether you find it useful, and thanks). OK, so first up, there's a Cheltenham Festival tipping competition. Yay! £100 of betting vouchers from the lovely people at BetVictor. Full details of that are here. These have been very popular so far, and we'll be doing a lot more of them in the coming weeks and months. But this week is obviously a special week with some wonderful, competitive action to go at. Next, there's bookmaker offers galore. I am deadly serious when I say that I've NEVER seen a cut-throat price war like this around horse racing betting, and the bookmakers are offering massive loss-leaders just now, which demand attention (and availing). My original post on the six best was here. And now the day of race stuff has kicked in, there's plenty more here. Some of these are 'new customers only', and some are all and sundry offers. No point getting upset if you don't qualify: just crack on with those offers that are available to you. Basically, if you've got half an hour today, you can almost certainly make money and enjoy your punting even more. Mal Boyle, top stats man and long-term expert racing scribbler, marks your Cheltenham card in his own inimitable way, and that will be online from 10am here. He's consistently highlighted the chances of big priced winners in the time he's been writing for geegeez.co.uk and there's every chance of him nailing another monster this week. As always, my self-indulgent tendency towards verbosity gets its platform on this 'ere bloggie, and I've huffed and puffed all over the Cheltenham Festival card this year, as every year. I have a few stronger fancies, a few lesser fancies, and plenty of double-digit possible to give you some ideas if you're that way inclined. Day one's (Tuesday) preview is here. I actually discovered a couple of other bets I'd placed with BetVictor as part of their non-runner free bet promo yesterday. Seriously, I've been banging on about this all Winter, largely because most of the (few) non-runners I've had have been refunded in the form of free bet cash. Now, true, that's not money back in my pocket (yet! ), but it's a damn sight better than fresh air!! Anyway, aside aside, here's the portfolio piece. The BEST Cheltenham Festival News, Previews, Tips and... well... Everything! There's one link which joins pretty much all of the Cheltenham stuff together in a handy little bundle, and it's this one. All right, so now you know. Enjoy the Festival and, of course, I'll be back tomorrow, win, lose or draw! Channel 4 team - up to the mark? It's Cheltenham Festival silly season, dear reader, and that means that the bookies are falling over themselves to get us to give them our cash. In fact, so ridiculous has it got that they're now actually giving punters cash! Most of the bookie offers for the Festival focus on Tuesday, as a means of getting money in the betting accounts to ensure players are betting with their firm. And, naturally, we can turn this to our advantage, by playing the bookie game with the ten best Cheltenham Festival 2013 bookmaker offers! Bet Victor has covered itself in glory in the run-up to the Cheltenham Festival with their unique and hugely popular non-runner free bet all season; and they are the bookie that keeps on giving, as they're now promising to refund all losers on the Supreme Novices' Hurdle, the opening race of the 2013 Cheltenham Festival. Note, this is not conditional on My Tent Or Yours, the hot favourite, or any other particular horse, winning. No. Here's how this one works: you place a bet on the race with Bet Victor and, if it doesn't win, you get your stake refunded to your account as a free bet. If you want to get the meeting off to a flyer, you could whack fifty quid on My Tent Or Yours. If he wins (currently 6/4), you'd get £75 profit plus your £50 stake back. If he loses, you get your £50 back. No. Brainer. No? They're also going non-runner money back now as well, so if your fancy fails to show up, you get your cash back. And they'll match your first deposit if you're a new customer with a free bet of up to £25. SkyBet have been running this promotion for ages, and if you haven't taken advantage of it already, what better time than just before Cheltenham? This is a really simple offer: register an account with SkyBet, and they'll immediately deposit £10 into your account to bet with. Any winnings can be withdrawn straight away. Although this is not a free bet, it's as close to one as you'll ever get at the Cheltenham Festival. Sprinter Sacre is the highest rated horse in training. He's a mile clear of his rivals, most of which are dodging him and running in a different race. Even money means you get 100% interest on your loan to Coral in the space of a week. That's almost as good as the burglars behind wonga.com do! Yes, another free tenner bet (terms apply). 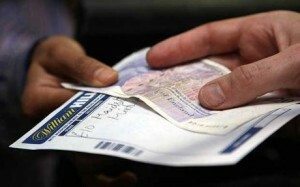 Race Bets will also match your initial deposit with up to £100. But the fun really starts with their race concessions. Those are pretty nice concessions indeed and, allied to the free betting voucher - enter 'geegeez' in the Bonus field to get that (see this post for full details) - this is a no brainer account to avail of. Not quite such a standout as some, but still well worth considering if you fancy anything they're best price on. As well as guaranteeing to pay you SP if that's bigger than the price you take, they'll also return your wedge if your nag no-shows. Five of the last eight Champion Hurdles were won by three lengths or less. So too were three of the last four World Hurdles. If yours is the unlucky beast to bag a close up silver medal, Bluesq will refund your losing stake. This offer applies to the Champion Hurdle, Queen Mother Champion Chase, World Hurdle and the Cheltenham Gold Cup. New customers can also look forward to £25 in free bets, through Bluesq's 'free bet Friday' promo. Very nice too. Those six offers - all of which are available to new and existing clients - should net you at least £40 (2 x £10 free bet, plus £20 when Sprinter Sacre wins). If things go your way in the Supreme or the Champion Hurdle, they'll net you more... or at least you'll get your cash back. Armed with information, you'd be mad not to thank the bookmakers for their rare outbreak of Cheltenham Festival fever, and the generosity it engenders! Will it be A New Story in the Cross Country Chase? Of the 27 races run at the Cheltenham Festival, the Glenfarclas Handicap Chase, or the Cross Country as it's better known, is perhaps the easiest to solve. Now, before you think I've gone mad, let me clarify: that doesn't mean it's easy to solve; just that it's easier than most of the other races. Bold statement made at the top of the piece, let's look in more depth at what it takes to win this unique challenge, and which nags are best placed to plunder the prize. This will be the ninth time the Cross Country Chase has featured at the Festival, and the first five were all won by a horse priced 4/1 or shorter. Since then, things have got a little more random, with 25/1, 13/2 and 11/2 winners... or so it seems. But closer inspection shows that the big-priced winner, A New Story, had finished 3rd and 4th in the two previous renewals, so knew exactly what was needed. 13/2 winner, Sizing Australia, had also run in the race before, finishing eleventh (but had three other placed finishes over the course outside the Festival). And last year, I suspect that Balthazar King, though well fancied, profited most from the ugly and unnecessary (in my opinion) fatalities of Scotsirish - who I thought was banker material - and Garde Champetre. He too had had a previous look at the course, when running out in the comedy race run at 2011's December meeting here. So, all winners had cross country experience, and that looks a stone cold certainty for a likely winner of the race. The next thing to note is that Balthazar King was the first non-Irish-trained winner of the race and, again, I feel he wouldn't have won had Garde Champetre and Scotsirish completed the course. Let me put that another way: I will be strongly favouring Irish entries over British ones. Indeed, A New Story - at fourteen years young - failed by just a head to match Balthazar King and retain the Irish stranglehold on the race. And ex-Irish Wedger Pardy was next best, back in third. So look to the Irish entries for the most likely winner. Enda Bolger is a specialist trainer in these types of races, and his reward is that he's trained four winners from the eight renewals, plus three runners up. With the loss of Garde Champetre, and the retirement of the likes of Spot Thedifference and Heads Onthe Ground, it seemed Enda's grip was loosening. But he's got some new names to go to war with this time around, most notable perhaps, Arabella Boy, who uncharacteristically unseated on his sole spin around this weird circuit. The nature of this contest on this course is different from any other race at the Festival. The Cross Country course is inside the Old and New Courses, and winds its way inside and out like a knotted shoelace. As such, whilst stamina is needed - it's most of four miles, after all - there's never an all out gallop because the tight turns and many and varied obstacles don't allow for too much use of the accelerator pedal. The race does often look wide open turning in for the final quarter mile, before thinning out to just a couple of contenders, and so a turn of foot / something in reserve is crucial. A New Story was second last year, as I've written, aged fourteen. He won it aged twelve, as did Native Jack and Spot Thedifference. Ten year olds have also bagged a brace of Cross Country Chases at the Festival. I do have a slight suspicion that the days of the veterans enjoying a last day in the sun are passing, and that this is - if not quite a young man's game - at least the province of the eight to ten year olds. There are plenty of familiar names entered which are older than that - the likes of A New Story, Freneys Well, Double Dizzy, Wedger Pardy, Uncle Junior and Sizing Australia - but I'm happy (unless the price is too good to resist) to look towards the new breed and generally favour eight to ten year olds. Weight is probably less important here than in any of the other handicaps at the Festival. Again, I suspect it's because of the tight track constitution, but the upshot is that the experienced cross country boys prevail over the seemingly attractively-weighted newcomer brigade time and again. Heads Onthe Ground was the only winner to carry less than 10-08, and he had already garnered plenty of cross-country experience, including when third over the course at the previous December meeting. Ignore weight, and instead favour cross-country experience. As a specialist sort of race, there are a few key trials for this. The previous year's renewal is a good place to start, with three winners - one repeater - coming back to claim the prize the following year. Also, the PP Hogan Chase at Punchestown in February has had a bearing with three winners of that coming on to win here. And the December meeting cross country chase is perhaps the best form guide of all, with fully six of the eight winners having run there. A recent hurdle spin has been used by three winners too. Favour horses which ran in one or more of last year's race, the December Cross Country here, the PP Hogan Memorial Chase, and/or a hurdle race last time. OK, so that's the sort of profile we're looking for. Now how do the contenders shape up against it? Well, the first thing to say is that they currently bet 6/1 the field so there is a nice enough return to aim at, whichever horse wins. Also, there are four places paid on the race as a handicap, so there might be a couple which look close to banker place material. Sharing favouritism are last year's winner, Balthazar King; Arabella Boy; and, Outlaw Pete. Balthazar has a win and a place in his last two Cross Country starts here at Cheltenham, and won on the park course as well in between. He comes here in great form, we know the track holds no fears, and he is the right sort of age. But it's difficult to follow up in this contest - only one repeater despite the specialist nature of cross country chases - and he was readily outpointed by Uncle Junior, albeit on ground which might have been too testing for him. In fact, the ground is likely to be on the soft side this time, having been like a road (criminally so, in my view) last term. That give will probably blunt Balthazar's speed and he's not for me, despite an otherwise robust profile for the race. Arabella Boy is clearly held in high regard by the Bolger team, and is likely to be the pick of his possible quartet. He won the PP Hogan last time, having previously unseated at this course late in the race at the Grand National fence. He'll be spot on for this but must have it on the soft side to show his best. Outlaw Pete won that last day when Arabella Boy unseated, and was given a very nice stalking ride before quickening away smartly. It's interesting that he's taken his chance in a couple of conventional handicap chases since, thus avoiding a clash with any of his rivals here. Outlaw Pete has form on all ground but prefers some cut. He'll probably get that, and ought to be thereabouts again if his jumping holds together. Uncle Junior and Bostons Angel come next, and both have experience of this course. Uncle has won the November race here for the past two years, but has finished 78U on his three runs later in the season. He was a well held fourth to Arabella Boy in the PP Hogan and it's difficult to envisage him reversing the form here. Bostons Angel was even further behind that day, having run up to Arabella Boy and Outlaw Pete on his previous two starts. He looks one paced and whilst likely to be thereabouts is also likely to find at least one too good. Former winner, Sizing Australia, is a 14/1 shot but I feel fairly confident his best days are behind him now, and he'd need the going to be at least good to make the frame. The course is currently soft, good to soft in places. A couple of interesting entries figure next, in Big Shu and Chicago Grey. The former was a length behind Arabella Boy at Punchestown last time, but in all his races he's given the impression that he barely gets three miles, let alone the (relatively easy, granted) near four miles here. He's also yet to have sight of this course and, on balance, he can beat me if he's good enough. Chicago Grey has two wins at Cheltenham, including in the four miler at the Festival, and he also won last time out. But he's never even raced in a cross country chase, and that's a massive negative in a race like this. The rest probably don't count, though A New Story is worth an honourable mention, with an incredible race record of 34132. Yes, he's fifteen now (! ), but he was fourteen last year when beaten only a head, and twelve when he won the race. He goes on any ground and was given a lovely prep in a hurdle race last week. 33/1 (8.25/1 a place 1-2-3-4) is too big despite him being a serious veteran even in the context of a race like this. Finally, Reste Demohaison is a mildly interesting French raider. Although only eight, he's a thoroughly experienced cross country horse, having already had seventeen races over fence, wall and birch in his native France. It remains to be seen who will ride, and that is a factor here, for sure. He stays the trip and has bundles of seasoning, so might just offer a run for your money. Overall then, it's a race which is unlikely to be as competitive as the current 6/1 the field implies, which means there is value for us early birds before most people focus even remotely on the contest. Arabella Boy retains a slight stamina doubt, but his jumping is usually assured and he'll get a grand ride from Nina Carberry, who I assume will continue her association. And Outlaw Pete must be thereabouts if he can carry the bigger weight this time. But I am drawn to A New Story. He never seems to have much form coming into this race, and he's as old as Cleeve Hill itself. But. But... he's 34132 in this race, and was just a head shy of winning as a 14yo. That was a taking prep last time over two miles - ahem - and 33/1 offers plenty of throwaway value. A National winner at Fairyhouse? 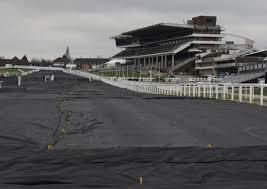 The National Hunt jamboree that is Cheltenham Festival 2013 draws ever closer, dear reader, and - at time of writing, there are just fifteen days and a few hours before tapes rise on the first of 27 championship events. Excitement is bubbling up nicely, and in today's post I'll be covering a range of subjects, plenty of them related to Chelters' big Fezza (as I heard it referred to this morning!). So, in no particular order, I've got some thoughts on the weekend racing with Cheltenham/Aintree in mind; a Monday placepot; news of a special bonus offer later in the week; a quick tipping competition update; and, a Monday placepot! We'll start with the weekend racing action just passed. Dan Kelly will have a more analytical take later in the week on some of the key events, but until then, here are my rather less scientific notes. Friday saw the third favourite for the Arkle have his final prep race for Cheltenham in a three runner Sandown event. That he was beaten was unfortunate. That he was stuffed out of sight means he's surely a fair price to even make the Arkle field now. I'd already warned against backing a horse with nine chase starts under his belt for the Arkle, on the basis that there's very little improvement to garner from such a beast, and Fago ran like a horse which has seen too much action recently. Indeed, he's had six races since mid-September, and four of them in very high class company. Allied to the fact he was returning to the track after just thirteen days - and a very hard race - and it's not altogether surprising he flopped. Nice horse, but not an Arkle winner. Onwards to Saturday, and an interesting card at Kempton, though with surprisingly few Festival clues on offer, in my view. I was lucky enough to be in attendance, and as a guest of Tony 'Irish Big Race Trends' Mac in a hospitality suite (nice fellow, that Tony Mac!). Pie crust scoffed, it was to the action, and despite three Grade 2's and the feature Grade 3 Racing Plus Chase, there was just a smallish handful of horses to note. In the opener, Triangular gave up the outside to no horse and, having been outpaced, stayed on well to be a never nearer thirteen length fifth. A stiffer track and slightly longer trip will see him in the winner's enclosure again, but he won't be going to the Festival. The third horse, Milarrow, looks the other to take from here. He had tried to make all before getting badly outpaced when the tempo quickened - dropping back like he'd be pulled up - but then rallying robustly to be less than nine lengths back in third. He's entered in a similar contest on Wednesday - as is Saturday's winner, Midnight Sail - but I'd want to see Milarrow over three miles now. Irish Saint did well enough to win the Adonis - normally a strong Triumph Hurdle trial - from Vasco du Ronceray. Off what looked a dawdling pace (both the Dovecote and the bumper later on the card were a second or so quicker), Irish Saint found himself a few lengths from the leaders, but showed good acceleration to get to them, and then good tenacity to outscrap Vasco in the final furlong. While I'd mark Irish Saint up on the bare form here, he was well enough tonked - albeit under a different, pace-setting ride - last time at Cheltenham, by Vasco's stable mate, Rolling Star. Indeed, it's fair to believe that both Nicholls (Far West) and Hendo (Rolling Star) have better options than they ran here. Grandioso further polished the Denizen of Ditcheat's stellar record in the Pendil Novices' Chase. His form string in the contest now reads 112111311 since 2006. Crikey. Despite that, none of those managed to trouble the judge at the Festival, and it's unlikely that either Grandioso or Molotof, his closest pursuer here, will be wager material in two weeks time. The Dovecote was next, a Grade 2 hurdle for all age novices, and it's a race that is hard to get a handle on. The winner, Forgotten Voice, was emphatic in victory. The second, Brick Red, probably ran close (ish) to his mark of 146. If we say he ran to 140, then Forgotten Voice - value for twice his five length margin - probably ran to around 150. That would put him in the shake up for the Supreme... if he was entered there. In fact, he's in the County Hurdle only and, off a mark of 138 plus a penalty - and with stable mate Petit Robin likely to keep the Voice's weight down - he might be one of the more interesting contenders. Certainly a stronger pace would help him settle (although he seemed to have overcome that problem on Saturday), and the way he travels - allied to his obvious class, being rated 113 on the flat - offers hope. He's a general 14/1 shot for the County, though Stan James were impressed, showing just 8/1 about his prospects. The big race was a first big race success for a trainer I've been banging on about since he took out a license in his own right, Harry Fry. Lest you didn't know, he trained Rock On Ruby to win the Champion Hurdle last year. Whilst that was from Paul Nicholls' former satellite yard in Seaborough, Dorset - a training facility now managed by Fry - there is no doubt that the young Harry was directing Ruby's regime. Opening Batsman was a well-weighted novice here, and he'll now be a less well-weighted novice. He's in four different handicaps at the Festival and, on that basis alone, I'd need a better steer from connections before taking close to single figure prices about his chances there. Progressive horse, but not a Cheltenham proposition until plans are known, if at all. Meanwhile, over at Fairyhouse, the Bobbyjo Chase - a strong Grand National trial, in which all runners were entered for the Aintree showpiece - was won by in good style by the extremely progressive Roi du Mee from odds-on jolly and National second favourite, Prince de Beauchene. It's very hard to crab a horse which has won eleven of 32 career starts, and five of seven this term. In truth, I'm not even remotely sold on the stamina of either of that pair for the Grand National, and I suspect that they simple outpaced the likes of Oscar Time, who was allowed to coast home some way back. From this field, if any are of interest to me at current prices, it is the fourth horse, Rare Bob, who is currently 80/1 (non-runner free bet) with BetVictor (same price Stan James, all in run or not). He has bags of Aintree form, is clearly being trained specifically for the National (two runs this season, a handicap hurdle and the Bobbyjo), and he's trained by super shrewd Dessie Hughes. Whether he's good enough is another question, but he has a pretty sound profile for the race, and 80/1 each way is tempting: certainly more so than 10/1 Prince de Beauchene or 25/1 Roi du Mee (both French bred which is still a negative overall, for me). Onwards, and now that some of the bookmakers are going non-runner no bet, it's time to start flagging the best priced horses with those bookies, as it clearly makes sense to bet with them if you fancy one that's top-priced with them. Victor is non-runner no bet; and bet365 is the same and also Best Odds Guaranteed. Unfortunately, the latter's BOG concession means they're offering pretty tight odds in most cases, though with a few exceptions. The below is a list of top ten market contenders in each Championship race where one or both of BetVictor or bet365 are top (or joint top) price. Like I say, if you fancy any of the above, it'd be foolish to bet anywhere else, especially where bet365 are top price. In those cases, you'll get money back if the horse doesn't run, and bigger odds if the horse is sent off at... well, bigger odds! A quick update on the tipping competition, as we start the second of its two weeks. Currently, Ian Friend has a healthy lead, thanks to four winners last week, including 12/1 and 20/1 scorers. He's on a superb 36.5 which means, even with a completely blank week, he'll have 26.5 at the end of the comp. So, if you want to catch him, you've lots of time but you need to start getting some nice priced winners! Remember, too, that we have a prize for the top-priced tip in the competition which currently stands at 20/1, and is held by... Ian Friend! That's only on countback though, as both he and S Dhillon had the 20/1 scorer, plus a 12/1 scorer. Ian has a third winning pick at 13/2, but if S Dhillon finds an unanswered 7/1 or better winner, he'll leapfrog into the lead. Of course, if any of you find a 22/1 or bigger winner, you'll overtake the pair of them! So, get tipping. Here's the link to the competition. My sincere thanks to the 474 of you who have completed the Geegeez Survey. It's your feedback that makes Geegeez what you tell me you'd like it to be. I always share the survey results, and this year will be no different. So, do please take five minutes (or perhaps ten) to complete the survey, and I'll have an update on it later this week or early next. Couple more things: two things happening later this week, and a Monday placepot. First, on Wednesday, I'll be back at Kempton for something I've not been involved with since 30th July 2001. That was the last time I had a share in a horse which was unraced, making its debut. The horse was called Tern Intern, and he was not very good. In fact, he was terrible. The highest rating he ever had was 54, when he was first handicapped, and he regressed down to a mark of 30...! Well, on Wednesday, I'll have hope renewed that Vastly, the new nag, offers a glimmer (or perhaps a shaft) of light and hope for the future. The portents are fair: he was trained by none other than Sir Henry Cecil until the end of last year when, due to Vastly's size (yes, he's well enough named) it had not been possible to get him to the track. Now, for Sir Henry to persist until the end of a horse's third year, without a run, implies the perception of at least some ability. Add to this the fact that Vastly's half-brother is none other than Await The Dawn, a winner of his most recent Meydan start plus five other races, and £285,074 in career prize money, and we are quite hopeful that our boy can at least win a race (or perhaps two) in due course. Their mum, Valentine Band, also bred Putney Bridge, a Listed winner who is a full brother to Vastly; and Spruce, which Julia trained to win four races on the spin back in 2010. So yes, we're very hopeful that he might be nice. And finally, how about a bit of a bet on this dreary cold Monday? Let's try to plunder the Plumpton placepot. Now, as time has moved on, and I've work to do, we're going to take a few chances today. As a result, there's a fair prospect of a losing attempt, but better that than 'get' the placepot up but return less than we staked! Leg 1: Leviathan has two decent pieces of hurdles form, and won't mind the slight firmer footing. In a race with lots of runners but few with chances, he's a banker to kick us off. Leg 2: It's bar a fall for Violin Davis and, whilst this is a novices' chase, she's looked assured in three runs over fences to date, and she's a banker too. Leg 3: This looks tricky. Sir Fredlot is a big price but has a course and distance win to his name just four starts back, and has a number of other boxes with ticks in them. He'll go on A, despite his price. Tornado In Milan and Manshoor have both been well supported this morning and go on A, the latter with course/distance form too. I'll bolster A with some B action, in the form of Right Stuff for local in-form trainer, Gary Moore, and Nemo Spirit. Engai, for David Bridgwater, sneaks in on that sole reason. Leg 4: Jupiter Rex has the best form and the best jockey. But he's not been a fan of this quicker ground historically, and he's only had a short break (five days) since his last win. And this left-handed, slightly tighter circuit may not be ideal either. He's still the one to beat, and is the sole A runner. But I'm firming up with a couple of B's too, in the shape of big-priced pair, Digger Gets Lucky and Sole Agent. Both have conditions to suit and could make the frame here, especially if Jupiter Rex under-performs. Leg 5: Absolute Shambles started his career here 39 runs ago and looks to have a chance today, despite being 12/1. His form here is 4515214, and the quicker the ground the better. All seven of his wins have been on good to soft through to good to firm, so he could bounce back this afternoon. He gets a call on B.
Favourite Stop The Show looks opposable, despite AP McCoy taking the ride. He's twelve now and has only made the first two in four of his 26 chase starts, and only won once. True, this race is awful, but he's just a very slow horse, and I doubt he'll win and he could well be out of the frame. Red Anchor is a lot less exposed and won last time. That's more than enough to make A here. Lawney Hill is a trainer I admire, and her Champion Versions drops in class today. He's a contender on that basis, and joins the A crew. And thrice-winning hurdler, Acosta, gets the B call up, due to being well backed this morning. Leg 6: Wily Susan Gardner does well enough round here, and she steps handicap débutante, Southway Queen, up half a mile this afternoon. Obviously expected to improve for that, judged on plenty of cash around for her today, she's an A sort. McCoy gets back on Old Dreams here, having won and been placed on her on his two previous rides, and she's an A type too. Lady From Geneva ran well on her handicap bow last time, and she completes the trio on A, and the placepot perm. And that's it for a marathon Monday musing. Hopefully you've found something of interest in the above, and do let me know your thoughts on any points mentioned there, or indeed on anything racing/betting related! p.s. Particularly, is the best odds breakdown on the big non-runner no bet races useful? Leave a comment and let me know. As regular readers (and competition entrants) will know, I've been promoting BetVictor a fair amount lately. The reasons for this are more than just because they gave me £200 to give to you (via the competitions). In fact, that came after I approached them. The main reason I recommend BetVictor just now is because of their excellent 'Non Runner Free Bet' concession for both the Cheltenham Festival and the Grand National. We'll save the latter treat for another day, but in this post I want to focus on seven horses who I consider are 'bets to nothing' at the Festival. Maximum total promo cash refund on non-runners, with the other rules above taken into account, is a monkey (or £500 if you prefer). In essence then, bet the horse you like and if it doesn't run, you'll get betting vouchers to the same value, to be used on the same day as the race in which your fancy failed to turn up. Simples! STOP PRESS: AS OF 8PM FRIDAY 22ND FEBRUARY, BETVICTOR HAVE GONE NON RUNNER NO BET, SO IF YOU'RE NAG NO-SHOWS, YOU GET YOUR CASH BACK! OK, so with caveat emptor in place, here are seven horses which I believe have an excellent chance IF they show up in the race for which I've flagged them... and of course, if they don't you'll be able to back something else in a 'bet to nothing'. Supreme Novices' Hurdle - Champagne Fever 16/1. This is a very good horse. In fact, he was good enough to win the Champion Bumper last year at the Festival over course and distance (though without the timber-framed impediments it should be said). Since then, he's had a curious campaign: first he swum home in front in appalling conditions in a Grade 1 bumper at Punchestown (yes, I was unfortunate enough to be there); then he won a maiden hurdle at odds of 1/8 (better than you'll get at the bank); then he was beaten a length and a half by Jezki on soft in a Grade 1; then he was stepped up in trip and walloped in a Grade 2; and then he was stepped back down in trip to two and a quarter miles and won the Grade 1 Deloitte. He's got three Grade 1 scores on his card, including at the Festival last year, and on his last start. He was beaten less than two lengths by Jezki in a fourth Grade 1, and that rival is now as short as 5/2 with Ladbrokes, despite having to prove his aptitude both for faster ground and Cheltenham's unique undulations. Of course, there are plenty of others in here with squeaks, most obviously My Tent Or Yours. But he's a best priced 13/8 (I backed him at 7/2 straight after his romp last time! with... yes, BetVictor non-runner free bet - in case he goes for a bigger pot). So, 16/1 is too big and, with Champagne Fever also holding - less likely - entries in both the Neptune and the potato race (Albert Bartlett), and BetVictor joint-top priced, he readily makes the septet of 'bet to nothing' wagers. Probably the most unpronounceable / unspellable horse name at the Festival, but one with a real squeak nevertheless. He's most likely to run in the Arkle for the same trainer as Champagne Fever, Willie Mullins. But he does also have an entry in the Jewson, over five furlongs further. I was going to put him up as a 10/1 poke, but Fago (formerly 3rd choice in the Arkle betting) has just been beaten and our man is now only 8/1. Still that is decent enough in a race where I simply don't like the chance of Overturn and where Simonsig has been off a long time (and, whisper it, may not even show up). Fago has now drifted out to 25/1 highlighting what I'd already highlighted here in my Arkle preview. The form case for Arvika is robust too: four runs over fences, three wins, two in Grade 1 company, and a soft fall last time, also in Grade 1 company when he'd surely have won otherwise. Those runs were all on boggy ground, but a win at the Punchestown Festival and a fourth in the 2010 potato race, on good turf, show both an alacrity for any going and a compatibility with Cleeve Hill. The Arkle invariably goes to a well fancied horse, with fourteen of the last fifteen winners coming from the top quintet in the betting. Interestingly (perhaps), only two of those were favourite, and the 8/1 still looks perfectly fair. If anything besets our potential hero 'twixt today and tapes up, we'll get the cash back to bet elsewhere. Yes, yes, I know he'll probably go for the World Hurdle. But on anything remotely soggy in the going description (or better yet, the actual going, as the two tend rarely to align on Cheltenham Tuesday), this fellow has a proper chance in the shorter race. "He's a two and a half mile horse" they constantly bleat. And yet his record at two miles stands close scrutiny. At the shorter distance, he's 1114131. At two and a half miles, he's 1F1111. At three miles, he's 52. There's no two and a half mile Festival target. The 4, 3, 5, and 2 were all at Cheltenham but, lest you think he's not so good here, he also has a 1111 to add to that. The 4 was in the Supreme, race comment "Chased leaders, mistake 4th, right there when not much room 3 out, staying on same pace when not fluent last" - no room and mistake at the last. The 3 was in the Champion Hurdle on good ground and when Hurricane Fly was in his pomp. (He may still be but there's an argument to say he's a fraction slower now he's nine). Softer ground and a well judged pace-pressing ride would see Oscar go very close for the frame and have a chance to win too. 20/1 non-runner free bet is a 'bet to nothing'. Now, the first thing to say here is that it's four miles, right about twenty amateur riders, and hopefully the same number of amateur (or novice, if you'd prefer) horses over 25 brutish fences. So, in all honesty, it's not a fantastic punting proposition, and luck will play a significant part. My nominee here makes the septet to bet on the basis of his own strong staying record and his trainer's track record. Let's start with his trainer, Jonjo O'Neill, who has won this race four times since 2002. In that time, he's saddled twenty runners, and has also had a third and a fourth placed nag. Merry King for his part has shown three key attributes for this: stamina (as evidenced by a very close second to stout stayer, Cannington Brook, over three heavy Haydock miles), jumping ability (no reference of a jumping error in four chase starts over ten and a half collective miles), and class (his official rating has risen from 120 to 139 in his last three runs). He does have entries in other events at the Festival, and that's why non-runner free bet is a good option. Clearly, you need luck as well as class and guts to win a race like this, and if he has any of the first named, 14/1 will be fair enough. This is a race with a solid, and deserved, favourite in the daunting shape of Sprinter Sacre. He's a machine and if he gets there fit and jumps round, nothing gets too close to him. But with ten declarations at the moment, including a couple with little to no hope, and the bookmakers chancing their arms on quarter the odds 1-2-3, there is serious scope for an each way 'bet to nothing'. Throw into the mix the facts that Cue Card is far more likely to go to the Ryanair Chase (for which he's 7/2 favourite); last year's winner, Finian's Rainbow, has finished last on his two most recent runs (and at ten, is older than all recent winners bar the brilliant Moscow Flyer); and Sizing Europe is eleven now and, whilst I love him, it's a big ask here. That leaves the recalcitrant but occasionally very good Wishfull Thinking (remember the French photographer who copped it when WT skewed and tumbled in front of the stands last year?! ); the not good enough Tataniano and Realt Dubh; Somersby, who is a horse without a trip (but might have a place chance at a price); Sanctuaire, who looks over-rated to me (by the official handicapper I mean)... and our fellow. So what of him, after the circuitous and occasionally tenuous process of elimination? Well, he's a Frenchie, sure enough. Mais oui, but he's also not even entered in the Champion Chase. What?!! Now hold on. Before you think I've lost my Gallic marbles, there's talk of him being supplemented for the race and, in a contest where all bar the jolly have at least some sort of a flaw, Mail de Bievre represents a strong level of French form (second to Rubi Ball, one of their best chasers; and a dual Graded chase winner in his last four runs). MdB was having his first run for a year and a half on his British debut, and it's possible too that he could 'bounce' (run flat after over-exerting off a long break). But he fairly flew for the first two miles of that race, and a drop to the minimum would be exciting at the very least. Given he's not even entered currently, it would be silly to bet without the 'bet to nothing' safety net. So 16/1 non-runner free bet it is. How do you solve a problem like Grands Crus? Well, to my eye it's simple, relatively at least. You stop trying to make him run over three miles. He is NOT a three miler, despite his win in the Feltham, a race so infamous for producing RSA non-winners that they ought to re-measure the distance of the Kempton contest. (Note, 2012 Feltham winner Dynaste might not even run in the RSA this year). Two miles five furlongs on decent ground and, if they've not broken his heart already, Grands Crus could uncork a very bold showing at the Festival. You can forget his run last time (3m2f on heavy) and two starts before that (soft ground, has needed the run generally on seasonal debut). In between, he was third in the King George, an easy three miles which probably aligns fairly well in stamina test terms to the Ryanair's 2m5f. He has class, we know that. He stays this interim trip fine, we know that. He wants decent ground, (I think) we know that. 20/1 if he turns up here is too big. And if he doesn't, we'll be able to bet something else. Yes, it's Grands Crus deja vu. This is GC's other entry at the Festival, and he's got form to go close. In fact, back in March 2011 - not so very long ago - GC came closest to lowering Big Buck's' colours, being beaten less than two lengths at the line, in this very race. But hold on Matt, didn't you just say that Grands Crus doesn't stay three miles? And isn't the World Hurdle three miles? Yes. And Yes. There is a really obvious difference. Hurdles and fences are different. As Captain Fizz-Goggler would say, they're different words, with different meanings, pronounced differently. Not only that, but they're also different obstacles. Put it like this: if I asked you (in your prime) to run 400m over hurdles, it might take a while and you'd be pretty tired at the end. If I asked you to run the same 400m over the steeple chase barriers, you'd more likely clamber over a few and maybe have a paddle on the landing side at the water jump. At least, I would. And I'd be absolutely battered at the end. So yes, a shorter race, or shorter obstacles, do sort of amount to the same thing... I think. OK, if that sounds reasonable, then you'll be interested to note that on decent ground, Grands Crus is a hurdler of some repute. In fact his record is 11122. 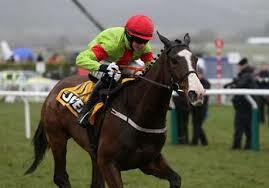 The 22 was when second to the aforementioned Buck's who is Big in the Grade 1 events at Cheltenham and Aintree. With no BB to bother GC this time, he's overpriced, IF the ground comes right and IF he runs here. So there you have it: a septet of precarious 'take a chance' wagers, all insured by those lovely people at BetVictor. As and when other firms go non runner no bet, I'll add that detail here. Until then, if you don't have a BetVictor account and you like the look of any of my Secret / Magnificent* (delete to denote your preferred cliché) Seven, they'll match your first punt up to a pony (or £25 for those what speak proper). Lovely. Two weeks and a weekend to go. It's almost bed-wettingly exciting!! !